Even though we are coming up on the end of August, we are still getting hit with super hot and unbearably humid days here in New Jersey. There is no better way to cool off than with a sweet and creamy milkshake. 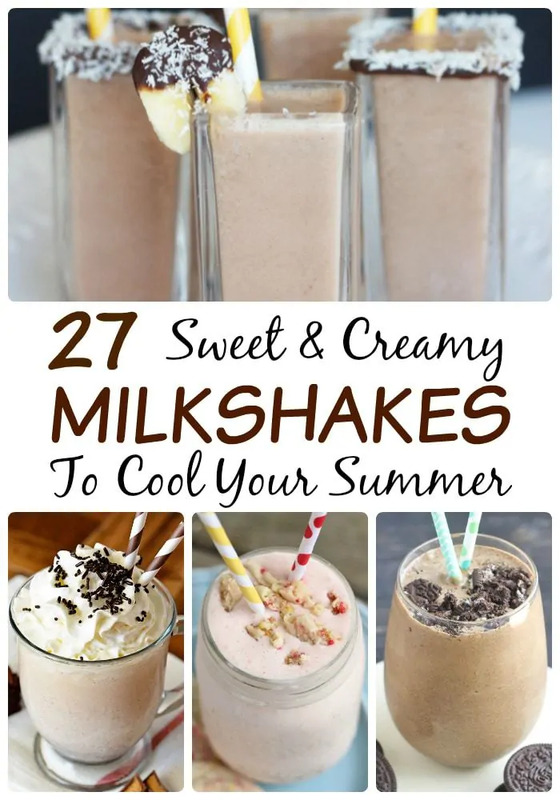 Below you will find links to 27 irresistible milkshake recipes. From a classic chocolate milkshake to Girl-Scout-cookie-inspired milkshakes, there really are milkshake recipes here for everyone! We have even included gluten-free milkshakes and vegan milkshakes on the list so that no one is left out! Now, let's spend the rest of our summer days sipping on a milkshake by the pool. Who is with me?! these look so delicious! anything like ice cream and milkshakes are my downfall. These look delicious. Will have to try some. Oh my – Biscoff Shake! Yum! I think each member of my family would choose a different one. Milkshakes are the best!! Thin mints, s’mores and chocolate chai?! These are definitely going on my list! My daughter will love the moca java.